If you would like to view and download Daniel Smith Watercolour Charts please use the links below. 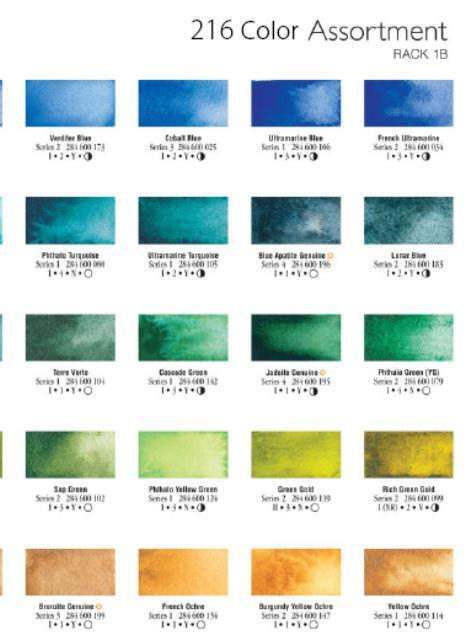 Three charts are available for the Daniel Smith Extra Fine Watercolour selections including: 55 colour range, 121 colour range and finally the 216 colour selection. As you will see the Daniel Smith range has many unique and interesting colours that cannot be found anywhere else. The great news is, they have people scouring the world with the sole purpose of discovering even more colours. Be sure to check back regularly to find out about new additions to the range.